People often ask me if I know of any ways to make some extra cash. And, although there are tons of ways you can make more money, some of them might take a little longer than others. If you need some ideas for generating some extra money right now, here are 102 quick ideas – particularly if you pick more than one from the list. Below is my list of (relatively) fast and easy ways to come up with a little extra cash in your pocket. 1. Sell your old gold. 2. Collect aluminum and other metals and sell them to a metal recycler. A metal detector makes this easier if you have one. You can also collect cans from your employer if they don’t already have a recycler. 3. Consider driving for Uber or delivering food with UberEats. 4. Do what you do for a full-time job on a freelance basis. 5. Clean out the house and cars and put all the money you find aside. It might surprise you how much small change is lying in the back of drawers, in ashtrays, and between seat cushions. 6. Walk dogs or petsit. 8. Have a yard sale or open a booth at the flea market. 9. Sell your junk on eBay, Craigslist, Amazon or any of the other good used marketplace websites. 10. Make crafts and sell them on Etsy or at local craft shows. 11. Clip coupons out of the paper and sell them on eBay (yes, people do this). 12. Take online surveys or join rewards programs. 13. If you must spend money, use a rewards credit card that pays cash back and cash out as soon as you’re eligible to do so. 14. Return items you bought but haven’t used for a refund. 16. Rake leaves/shovel snow/cut grass/clean gutters for others. 17. Rent out a room in your house. 18. Start a blog and put ads on it using Google’s AdSense. 19. Become a freelance writer. 20. Become a temporary worker. 21. Become a medical guinea pig or sign up for clinical trials of drugs. 23. Sell your hair to a wig maker. 24. Sell your eggs to a fertility specialist. 25. Donate sperm at a sperm bank. 26. Start vegetable plants and sell the starter plants for a fraction of what nurseries charge. 27. Drop services you don’t need like cell service, cable, lawn/pool service, or Internet and free upwards of $100/month. 28. Conserve energy and water aggressively and lower those bills to free up extra cash. 29. Return cans and bottles for the deposit if it’s available where you live. 30. Teach something that you are good at to others, either through a community school or private lessons. 31. Sew/make alterations for others. 32. Help the elderly. Offer to do the shopping and take them to appointments, for a small fee. 34. Collect ink cartridges from friends and coworkers (and your office if they don’t recycle) and give them to places like Office Depot or Staples for cash back. 37. Sell your stuff to a consignment shop. Here are some tips. 38. Sell food to workers at a construction site. 39. Sell your wedding china to Replacements Ltd.
40. Cash out any “points” you have lying around. Whether it’s from credit/debit card reward programs, store/product loyalty programs, gas rewards, or rewards sites, cash in everything you can and use the cash or gift cards to cover household expenses. 42. Take a part-time job. 45. Act as a driver for the schools. Some public and private schools take on private drivers to go where buses can’t or won’t go. 48. Change people’s oil for them. 49. Use your van or truck to haul heavy things for people. 50. Take any overtime your regular job offers. 52. If you have a lot of land, open some up for RV or boat storage at cheap rates. 54. Go through drive-through lanes and parking lots after hours and pick up the spare change you find. 55. Use programs like CVS Extra Care and coupons to get toiletry and cleaning items for free. Sell them at your next yard sale. 56. Use coupons and add what you save to your cash stash. 57. Refinance your mortgage. If you can swing the closing costs and you can save a point or two on your interest rate, it may be worthwhile to lower that monthly payment (particularly if you’re carrying PMI and can get out of it by refinancing). Just don’t cash out the equity. 58. Collect old cell phones from friends. family and co-workers and sell them to recyclers such as Greephone.com. 59. Become a human or car billboard. Places will pay you to decorate your car with their logos or wear their logos to popular events. 60. Become a mystery shopper. 61. If there’s a big event coming to your area like a major sports tournament or convention, rent out your house. 62. Panhandle, if it’s legal, or wash windshields at a busy intersection. 63. If you have more than one vehicle, sell one. 64. Unload any tickets you’re holding. If you’ve got season sporting tickets or tickets to the upcoming concert, sell them (just don’t scalp them for more than face value). 65. Test drive for cash. Some car dealers will give you cash or gift cards to come in and test drive a vehicle with no obligation. 66. Drop unnecessary insurance coverage. 67. Drop any “double” services you find. For example, do you have AAA and an insurance policy that provides roadside assistance? Either don’t renew AAA or drop the roadside from your insurance coverage and save the money. 68. 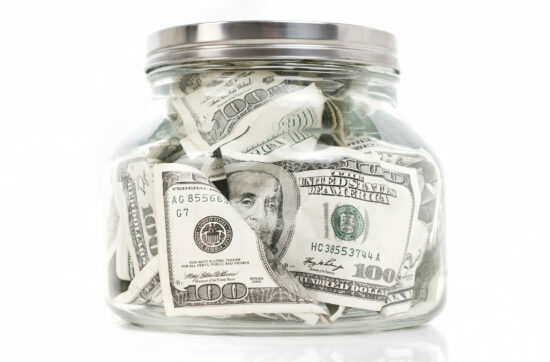 Check your state’s unclaimed property office to see if you are owed any money. 69. Cash in any savings bonds you have lying around. You’d be surprised how many people have them gathering dust in a drawer or safe deposit box. 70. Try to negotiate a lower interest rate on any credit card debt you have to lower the monthly payment. 71. Don’t renew magazines, gym memberships, club memberships or any other subscription/membership when it comes up. Let it go and pocket the cash. 72. Use your own ATM. Don’t pay transaction fees at another bank’s machine. 73. Sell any gift cards that you can’t/won’t use on eBay or swap them for ones you will use. 74. Write a book and sell it through LuLu or as a digital download. 75. Make music, art, computer themes, canned websites or clipart and sell them online. 76. Look into bundling the services you need to keep. It might lower the monthly bill. 77. Call all your service providers and ask if you can get a discount because you’re a good customer, always paid on time, or if you’re a member of a certain union or organization. Negotiate a discount if you can. 78. Brown bag your lunch instead of eating out. 79. Actually complete and send in those rebate forms you’ve been meaning to do. 80. Sell your double stuff. Have you digitized your music or video collection to the point where the discs never see the light of day anymore? Sell them. 81. Scrounge the local trash piles for good, intact items and sell them on Craigslist or eBay. 82. You can question the ethics of this one, but people do it all the time: Buy (or acquire for free) items from sites like Freecycle or Craigslist, or at the local thrift shop, and then resell them for a profit. 83. Be a plant/garden sitter. You water and tend to the plants while the owners are away. 84. Become a paid guide at a search website like ChaCha.com. 85. Get paid to submit video reviews of products at sites like ExpoTV. 86. Open a bank account that will pay you a cash bonus for opening the account. 87. Become a focus group participant. Look on Craigslist or in the want ads for postings in your area. Research companies are often listed in the Yellow Pages, as well. 88. Enter contests that give out physical prizes and sell any prizes you win. 89. Send in your FSA or HSA claims. Don’t wait until the end of the year, go ahead and get your money back. 90. Check your health insurance plan for any rebates you’re entitled to. Some reimburse wellness materials like gym memberships or weight loss programs. If you’re paying out of pocket, check and see if you can get the money back. 91. Use a site like Ebates or another rewards program to get cash back on online shopping. Pocket the difference. 92. Ask for a raise at your regular job. It might happen and it never hurts to ask. Even in this economy, you might get it if you’re a valuable employee. 93. If you have a vacant office, room, or garage in your home, rent it out as studio space to artists or musicians whose only alternative is to pay for expensive time in a “real” studio. 94. If you are popular on a message board, ask about a moderator gig. Some are paid a tiny bit each month. 95. Get free samples from sites like StartSampling.com, WalMart.com or many others. It’s not outright cash, but every sample you get and can use or sell reduces the amount of money you have to spend on products. 96. Add affiliate links to your website or blog and get paid when people buy products through your links. 97. Get back anything you’re entitled to. If you replace your car battery yourself, be sure to take the old one back and get the core charge refunded. Get price adjustments on items that go on sale within the store’s specified time frame. Get your security and utility deposits back when you move. Don’t leave any money on the table. 99. Rent out parking spaces. If you live in an area with little parking or near a big event center/arena and you have a little extra space, rent it out for parking. 100. Sign up with Mechanical Turk (Mturk.com) from Amazon.com and take on tasks that interest you. 101. If you have old electronics that won’t sell, try trading them in. 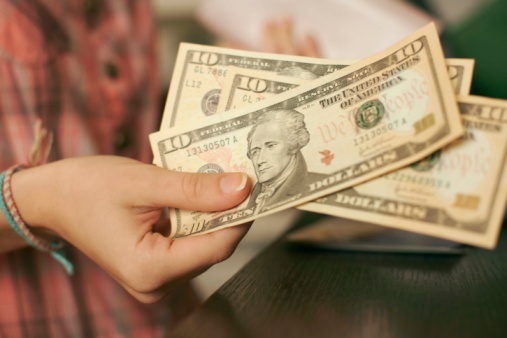 There are several stores/websites that offer trade-ins or take backs for cash or gift cards. 102. Stop spending on stuff you don’t need. Seriously. This is the best way to free up cash. Note that none of these tips require incurring additional debt or cashing out any savings like home equity or raiding a retirement plan. Those are courses of last resort. Try generating extra cash first. If you really want to make some extra money, try turning something you like into a home-based business. There are a lot of ways to generate extra cash if you’re willing to put forth the effort. Use your imagination and draw on your expertise and you can find several ways to bring in some extra money. Finally, if you are serious about finding ways to make extra cash get and read a copy of One Thousand Ways to Make $1,000. This book is reputed by Warren Buffett’s biographers to be one of the major influences on the legendary investor’s business acumen. After pulling a copy of One Thousand Ways off a shelf at age eleven and devouring F.C. Minaker’s practical advice, Buffett declared that he would be a millionaire by the time he was in his 30s. Written in a plain and conversational style this book is full of inventive ideas on how to make money through hard work, excellent salesmanship, and resourcefulness. Get it from Amazon.com here . Do you have any ideas for making extra cash? Share with us in the comments below! I am frequently asked (and more often now that the economy is in the tank), “What can I do to generate some extra cash?” There are many ways to generate additional cash, some of them quicker than others. If you need a lot of cash, these tips alone probably won’t do it; few, if any, of them are substitutes for the income a full time job provides. But if you just need a little help these can generate some extra money, particularly if you do more than one. Below is my list of (relatively) quick ways to come up with a little extra cash in your pocket. 2. Collect aluminum and other metals and sell them to a metal recycler. A metal detecter makes this easier, if you have one. You can also collect cans from your employer if they don’t already have a recycler. 3. Take a part time job. 4. Do what you do for a full time job on a freelance basis. 5. Clean out the house and cars and put all found money aside. It might surprise you how much small change is lying in the back of drawers, in ashtrays, and between seat cushions. 10. Make crafts and sell them on Esty or at local craft shows. 12. Do online surveys or rewards programs. 13. If you must spend money, do it on a rewards credit card that pays cash back and cash out as soon as you’re eligible to do so. 14. Return items that you bought but haven’t used for a refund. 19. Write articles for places like Associated Content or Heluim. 37. Sell your stuff to a consignment shop. 42. Raid trash cans for Coke Rewards caps and rack up gift cards. This one is especially good at events like concerts and road races, where Coke/Dasani/Powerade is a sponsor. Few people keep the caps for the codes. At one of my recent marathons where Powerade was the sponsor, I got enough caps to earn a $25 gift card. 45. Act as a driver for the schools. Some public and private schools take on private drivers to go where busses can’t or won’t go. 53. Quit smoking/drinking so much. 54. Go through drive through lanes and parking lots after hours and pick up the spare change you find. 58. Collect old cell phones from friends. family and coworkers and sell them to recyclers such as Greephone.com. 63. Sell a car and make do with one. 65. Test drive for cash. Some car dealers will give you cash or gift cards to come in and test drive a vehicle with not obligation. 68. 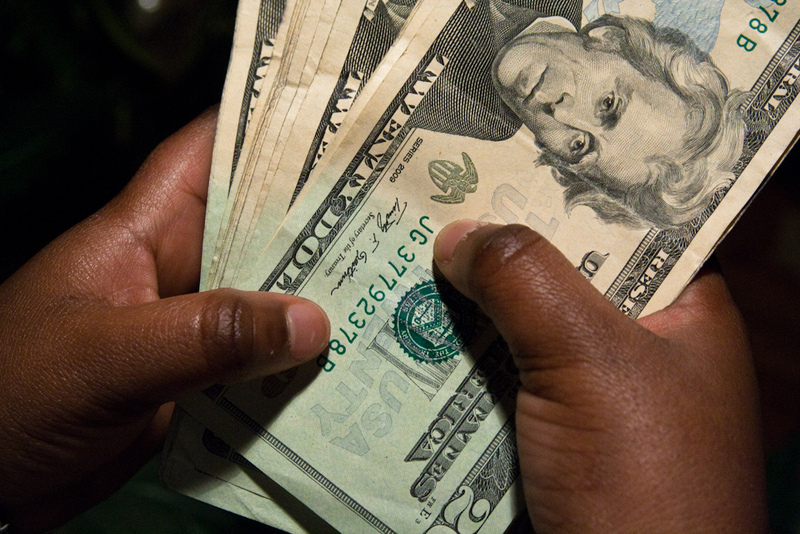 Check your state’s unclaimed property office to see if any old money is owed to you. 73. Sell any gift cards that you can’t/won’t use on eBay, or swap them for ones you will use. 92. Ask for a raise at your regular job. It might happen and it never hurts to ask. Even in this economy you might get it if you’re a valuable employee. 95. Get free samples from sites like StartSampling.com, WalMart.com or many others. It’s not outright cash, but every sample you get and can use or sell reduces the amount of money you have to spend for products. Finally if you are serious about finding ways to make extra cash get and read a copy of One Thousand Ways to Make $1,000. This book is reputed by Warren Buffett’s biographers to be one of the major influences on the legendary investor’s business acumen. After pulling a copy of One Thousand Ways off a shelf at age eleven and devouring F.C. Minaker’ practical advice, Buffett declared that he would be a millionaire by the time he was in his 30s. Written in an plain and conversational style this book is full of inventive ideas on how to make money through hard work, excellent salesmanship, and resourcefulness. Get it from Amazon.com here . Note that none of these tips require incurring additional debt or cashing out any savings like home equity or raiding a retirement plan. Those are courses of last resort. Try generating extra cash first. If you really want to make some extra money, try turning something you like into a home based business. 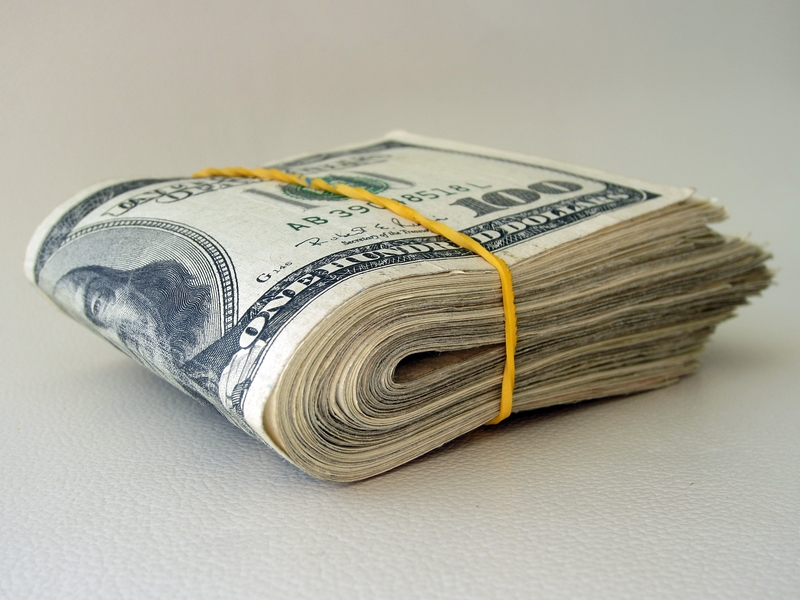 There are a lot of ways to generate extra cash, if you’re willing to put forth the effort. Use your imagination and draw on your expertise and you can find several ways to bring in some extra money. People are often looking for ways to make a little extra money. This doesn’t necessarily mean that you’ll be rolling in the dough, however, it can really provide some financial stability or even a better way to save. When you are looking to make extra money, you can look at it a few different ways. However, the main focus is usually how much extra money you would like to make. The following ways to make extra money guarantee an extra $500 to $1,000 each month. You can make a decent amount of money cleaning houses and you don’t necessarily need to be a full-time maid to do that. Many people in more wealthy areas look to hire individual maids instead of hiring maids through companies. Then, by word of mouth, people will begin recommending you to friends, etc. You can make between $12 and $20 an hour cleaning houses usually. Blogging for income isn’t a really new concept. People have been doing it for quite some time. Many moms do it for extra money when they are staying at home with their kids. Blogging is also something that you can pick up and stop when you want to, so it is a great thing to do if you are making extra money for a short-term savings goal. Obviously, blogging can take time. However, some websites are willing to pay writers nicely for their time and efforts for a piece. You can also start your own blog and create a following. You can use some affiliate programs to make money with your own website. Blogging is a great way to make extra money, but so is being a virtual assistant! Bloggers, website owners and even business owners don’t always have the time they need to get everything they need done. Being a virtual assistant, you would help the website or business with whatever they need help with. This can vary from creating content to managing social media accounts to simple administrative assistance. You can do this from home so, that’s a plus too. Babysitting is a relatively easy way to make extra money too. If you can market your services well and babysit a couple times a week, you can make some decent extra money. Many babysitters charge up to $15 per hour so the extra cash stacks up quickly and, like cleaning houses, if you are good at what you do, people will recommend you to their friends. This is another word-of-mouth job that you can get more clients the better your work is. Of course, mowing lawns is not a ton of fun, but it can pay nicely. You can charge about $50 per yard. If you’ve got five yards to mow each week, you can get an extra $250 per week and $1,000 per month. This takes a little bit of time and some physical effort, but could be worth the additional pay out. Just like babysitting, pet sitting can be minimal effort and people will recommend you if you are good at it. Many people will pay up to $50 a day for someone to watch out for their beloved pets. This usually only takes an hour or two a day while the person is away on vacation and it can be a good way to make a little extra cash (up to $1,000 a month if demand is high). If you can offer a service that is need in your area, offer it! People will usually need it and, in tight knit communities, people will think of you first. You can offer things such as elderly care, grocery delivery, baker, consignment sale, arts & crafts and even hair cuts to your community. These can all be great ways to make a little extra cash. Tax refund season is here and there will be plenty of people with some extra cash in their pockets. However, you may not have to wait until the spring of every year to have that extra cash. It is possible to do a few things to have extra cash in your pockets at all times and it can change the way that you live your life. You can use the extra money to save for retirement, pay off debts, save for vacation and maybe even provide yourself a sense of freedom with your current work position. Whether you are looking to just spend an hour or two a week, a day or a month trying to make a little extra money, there are probably some options out there for you. Of course, full time employment is ideal and these ideas are simply only to supplement your current income and provide extra money for saving, etc. There are many other ways you can make extra money as well. Some of them not as straight forward and many may even be considered a bit unorthodox. However you want to pull in extra money, be sure to get what you want done with the extra cash. Whether it be save, pay off debts or aiming for a brand new car, keep your goals in mind when looking for ways to grab some extra cash. 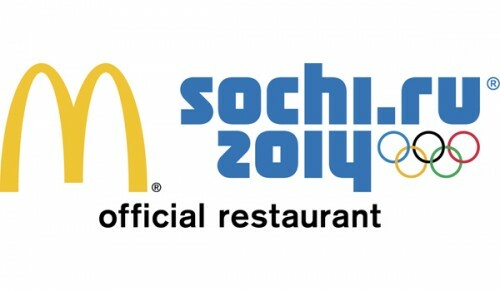 For those who were hoping to earn some extra cash from a McDonald’s Sochi Winter Olympics contest this year, you’ll be disappointed to find out that there doesn’t appear that there will be one. There have been no announcements of any type of Olympic style contest or instant win game to run in conjunction with the 2014 winter Olympic games. While many people like to play these games in an effort to win the prizes that are part of the contest, there are a growing number of people who have discovered that they can also generate some extra money from them. The biggest of these is the yearly McDonald’s Monopoly contest where it’s possible to earn several hundred dollars for those who are dedicated. But there are people who try to earn some extra money even on the smaller contests. 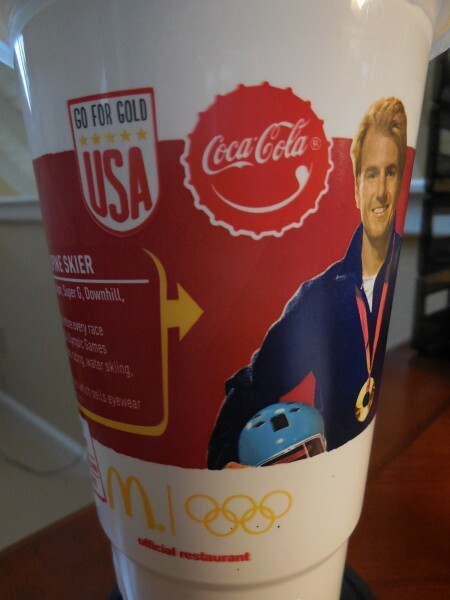 A McDonald’s Olympic contest would have generated quite a bit of interest, which would have had the potential to generate a decent amount of cash for those who use these contests as a way to make some side money. Even though there isn’t a contest, for those who are looking for ways to profit, there are still a few things that you can do to try to make some extra money. The problem is that these will be harder to do and won’t be quite as profitable as a contest would have been. Pin trading and collecting is always a hot hobby during any Olympic games. Official McDonald’s pins have already begun showing up on eBay. If you’re able to get hold of any Olympic themed pins (Mcdonald’s or other sponsors), there could be a chance to turn a quick profit. The key to making this profitable is that you need to act quickly while there is still demand before the pins lose their value as the games come to a close. Branding tends to be different in different parts of the world, and there are collectors of McDonald’s and Olympic branded good all over the globe. Since these are quite common, they aren’t going to be worth a lot, but collecting and storing these might bring in some extra cash from collectors down the line. If you happen to have a store near you, and you can get them for free from people discarding them, it could be worth your time picking them up. Most of the Olympic branded signage ends up in the trash dumpsters after the Olympic games are over. If you know someone who works at a store, you might ask them to save the signage for you when it’s taken down. If you aren’t opposed to dumpster diving and it’s legal where you live, this can also be a way to collect this signage. The problem is waiting until you have to dumpster dive increases the likelihood of damage to the signage. Since this is advertising that was never for sale, it can bring a bigger price from collectors since there simply aren’t a whole lot of people who will be selling them. Again, these aren’t likely to be nearly as profitable as an actual Olympic contest or instant win game would have been, but they are a few ideas on how to possibly earn a few extra dollars for those who were counting on generating some extra income from a game.